Guinea pigs need a lot of water. She drinks often, especially if the food is juicy enough. However, only what is brought into the house the animal needs some time to adjust and learn to navigate the new space. It is possible that the pig did not immediately understand how to use unfamiliar to her drinker. In this case, it is necessary to teach. Before you bring a pig home, equip her "apartment." The cell should be clean litter, filled with feeders and waterers, which is a container with a special tip. Attach the bowl to such a height that the animal could easily reach the tip. A house for the first time can not put. Let the pig get used to the environment and to you, and in a few days you can give her shelter. Release the animal in the cage and see how it will behave. 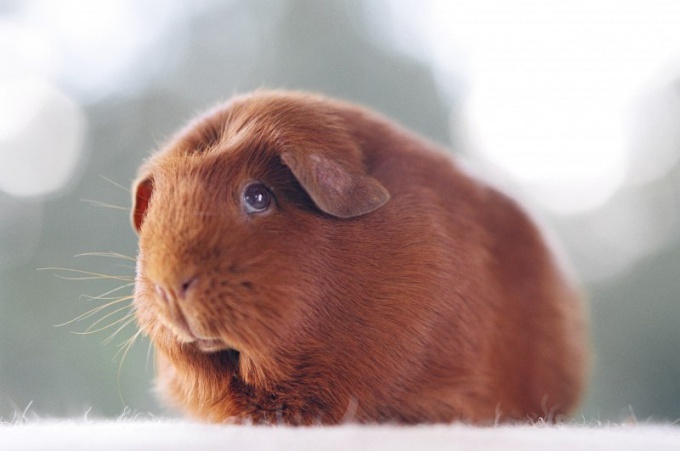 Guinea pigs are quite shy, but some just realize where that is in their new home. If the animal was at the same place and the same trough, he will understand that in the new is the necessary water. Seeing that Guinea pig is looking for water, but can not find her, bring her closer to the troughs. Make it so that the animal lightly poked his nose into the tip. But don't overdo it, nose only needs to touch a metal ball. If the pig still does not think what to do, put it next to the bowl. Touch the tip with the wet finger. Hold it close to the pigs mouth and let her lick. Repeat the procedure several times. 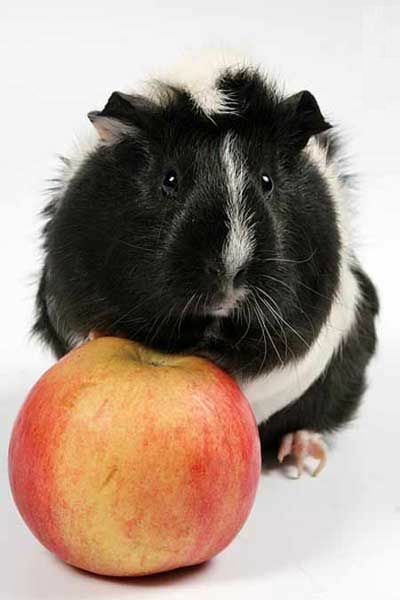 Remember that a Guinea pig should receive water regularly. She usually starts to drink from the feeder as soon as her show. But are not very savvy or very shy animals that do not immediately learn the lesson. Don't be angry with the pig and don't think she's stupid. Please be patient. 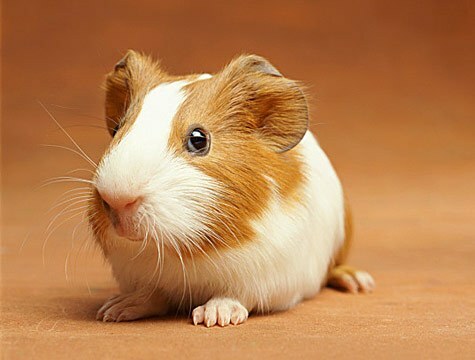 After a few days you will achieve success, because Guinea pigs get used to new owners quite easily. When a Guinea pig gets used to the environment and will become quite tame, start to let her walk. Make sure and this time she could drink if she wants. Put the cage on the floor, and a drinking bottle attach so that it was on the outside of the cells and familiar to the animal height. In some moments the Guinea pig may not drink. This does not mean that the animal was ill. Watch what's eating your favorite. If the food is very juicy, it fully satisfies the need of organism in the moisture. Diseased mumps usually first refuses to eat, and then from water. In this case, it is required to show the vet. Continually monitor water quality. It should always be fresh. 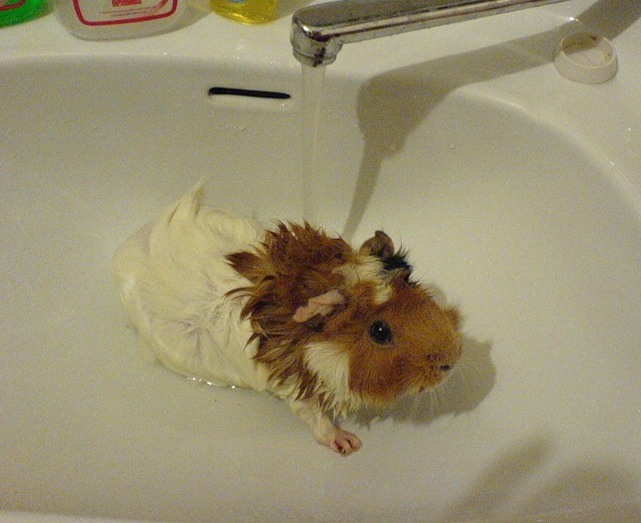 A Guinea pig will not be able to tell you that the water has an unpleasant smell. She will drink it, as before, however, can get sick. The water in the drinking bowl should be changed at least every day, and even better 2-3 times per day.